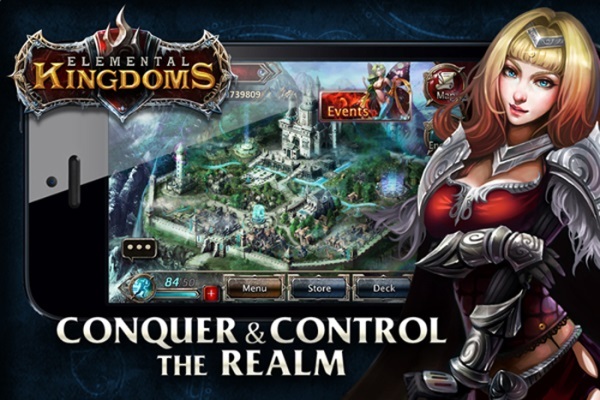 Perfect World Entertainment announced that Elemental Kingdoms is available to download on mobile devices. Elemental Kingdoms is the ultimate strategic battle trading-card game. Developed by Shanghai-based iFree Studios, Elemental Kingdoms is not your ordinary trading card game. With unique features, an innovative deployment time management system, and 200 distinct cards offering campaigns with over 80 stages spread across four kingdoms, it’s TCG “2.0”. Already extremely successful in China, Elemental Kingdoms features, among other things, shareable battle replays and a draft battle PvP mode where participants duel with random decks of cards. Elemental Kingdoms will have daily events that allow gamers to build their deck and top the charts and keep the gaming experience fresh. Dovogame's Business Tycoon Online is now available on iPad.